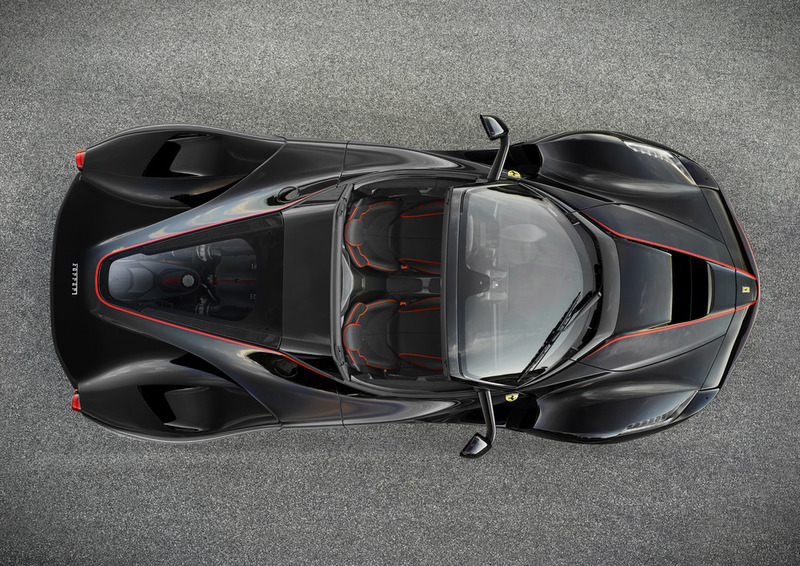 Ferrari has shown the first photos of its new LaFerrari convertible. The limited-edition special series is set to be unveiled at the Paris Motor Show this October. The open-top model is aimed at motorists and collectors seeking al fresco driving while at the wheel of a supercar. The name and technical characteristics of the new car will be announced in Paris as will the number of examples Ferrari will build - however, Ferrari has confirmed all examples have already been sold after a special client preview, and the order book is closed. The new limited-edition special series will be available with a removable carbon-fibre hard top and a removable soft top. It has the same running gear and performance figures as the original LaFerrari - namely a V12 petrol engine, combined with a 120kw electric motor mated to a dual-clutch gearbox - with the current LaFerrari reaching 62mph in 3 seconds and on to a top speed of over 217mph. Ferrari says ‘significant and extensive’ modifications have been made to the chassis with the aim of retaining the same torsional rigidity and beam stiffness as the coupé version. The car’s aerodynamics have also been further honed to guarantee the same drag coefficient when driving in the open configuration. The Paris Motor Show runs from Saturday Oct 1 to Sunday Oct 16 2016.